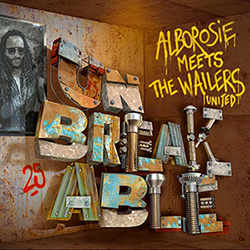 Alborosie teams with The Wailers United on new album Unbreakable. Unbreakable also boasts appearances from reggae household names - Raging Fyah, Chronixx, Jah Cure, J Boog and Beres Hammond. And they appear on some of the album’s brightest shining moments. The combination with Raging Fyah on a cover of Metallica’s heavy ballad The Unforgiven is just sublime and the positive and up-tempo title track with J Boog singing the chorus hits hard with its infectious horns and catchy whoo-whoo-whoo-whoa. The first single off the album – the superb Chronixx combination Contradiction - addresses the current social and political climate in both Jamaica and abroad with links between they who rule and the bad men. Unbreakable was released on June 29th, 2018. and is available from Greensleeves on LP, CD and digital download.